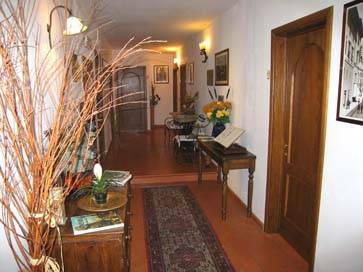 B&B Antica Posta is a typical Florentine building of the 1980's, with elevator. 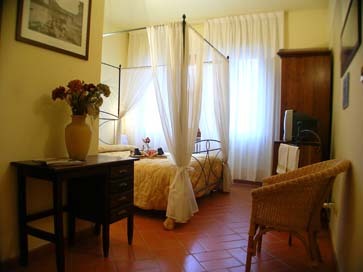 Our 5 bright and large rooms, are fine furnished according to the tuscan charm. 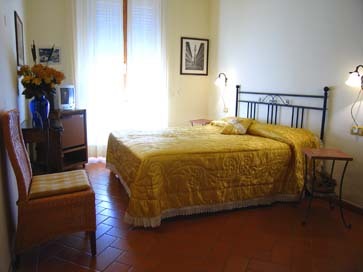 The floors are in " cotto of Impruneta "and make an hot and pleasant atmosphere. 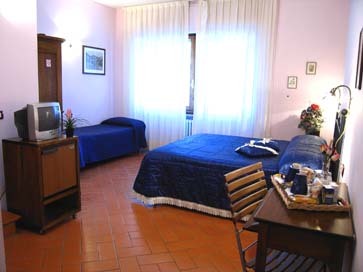 Each room is provided of private bath with hair dryer, air conditioning, color TV, mini-bar. To your awakening at morning, you'll find breakfast served directly to your room, so you'll be quickly ready to undertake the discovery of one of the most beautiful and fascinating cities in the world. The B&B Antica Posta is situated at the first floor of a palace with elevator just in the heart of Florence, few steps from the Central Railway Station S. Maria Novella ; from the Fortress " da Basso " , Congress Centre and Business Centre in where the main shows and expositions of the city take place ; from the principal museums and monuments ( Duomo, Piazza Signoria, Ponte Vecchio, Galleria degli Uffizi ) ; from the main streets for shopping ( Via Tornabuoni, Via dei Calzaiuoli, Via Strozzi, Via Roma) ; from the S. Lorenzo market that's a real jewel of architecture ( famous all over the world for its florentine handicraft ); from renowned and typical restaurants, cafés and wine cellars. Take the exit on your right ( trucks at your back ) and go along Via Alamanni . Cross Viale Fratelli Rosselli and continue straight on Via Guido Monaco. At its end turn right and you'll be in Viale Belfiore. Our B&B is at N° 50.